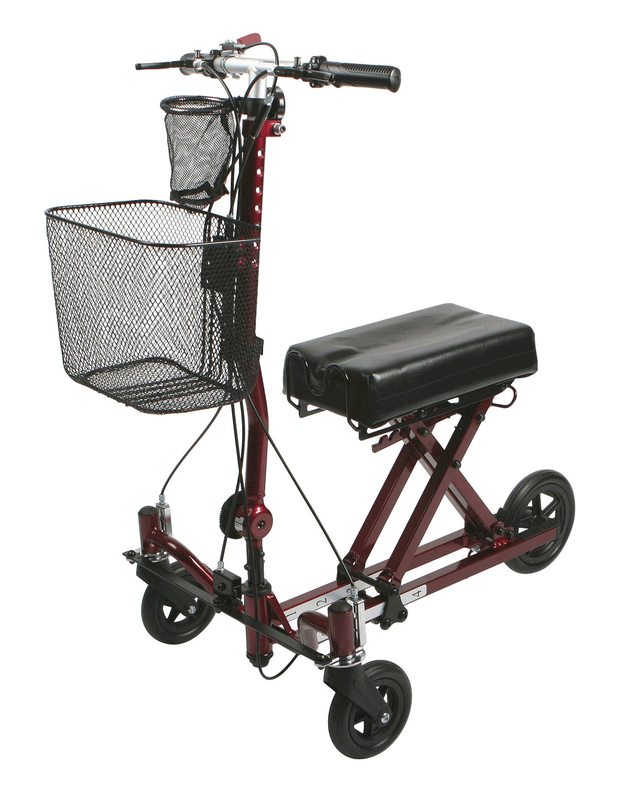 Weil Knee Walker manufactured by Medline is a great replacement for Crutches that allows for more freedom and mobility for the arms. Plus, with the Zero-Turn Radius (ZTR) Lever's ability to change the front wheels from rigid to swivel while locking the tiller, the user can get out of tight places more easily without fear of tipping, due to it ensuring that the alignment integrity is maintained. 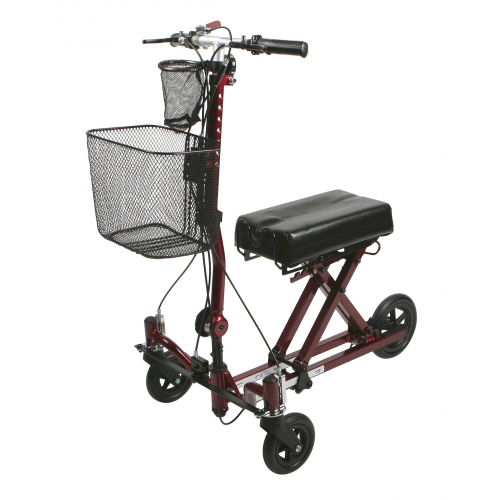 The Weil Knee Walker has a refined, heavy-duty frame that is built to last and with its large, sturdy wheels, the it provides a smooth ride over rougher surfaces such as carpet or concrete.